In the world of business, where communication, time saving and multitasking are paramount, technology is doing everything to meet those expectations. Axtel Prime X3 wireless headset is part of that trend and satisfies the needs of the customers who value independence, mobility and efficient communication. 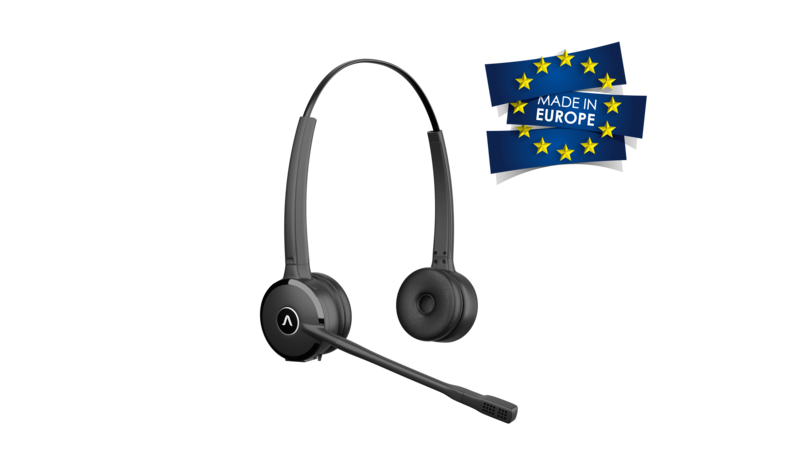 Axtel Prime X3 wireless headset was designed for offices and for customers who consider unrestrained communication and mobility to be a vital part of their business development. The ability to efficiently integrate a solution with a computer, desk phone, and a mobile phone, fully satisfies companies’ various communication needs. Range up to 200 metres allows for unrestrained calls while being mobile. The headphones provide both mobility and the highest quality of calls, and enable performing various tasks and activities during the call. They provide perfect conditions for carrying long conversations - battery efficiency reaches up to 10 hours without charging. Intuitive buttons on the docking station and the headband, and multifunctional control button enable the user to decide on answering or declining a call and to manage the calls efficiently in every situation by switching between three communication channels. Additionally, the multifunctional button on the headband is equipped with embedded LED notification light, integrated with the docking station, which informs other users in the office space, that the call is in progress. Prime X3 headset is equipped with advanced noise cancellation system and crystal clear HD sound. All noise and unwanted sound will be eliminated to provide optimal business call conditions. HD sound, perfect even in a loud environment, enables full concentration and work continuity. The newest Axtel Prime X3 headset combines new technology and minimalistic design. Depending on the user preference, the headset is available in monaural and binaural version. Moving towards communication that is mobile and unlimited, and basing on years of experience, we have created a wireless solution with widespread functionality and application. Discover the advantages of the newest Axtel Prime X3 wireless headset today. Available in two versions, depending on the user preference: monaural and binaural. Easy answering and ending of calls, adjusting and muting the sound using intuitive buttons on the docking station and headband.